Western style hat of Squishee® with novelty trim around the crown will give you just the right dose of dazzle! Elasticized inner band fits most. This vented straw style has a double faced brim which is 50+UPF protective. 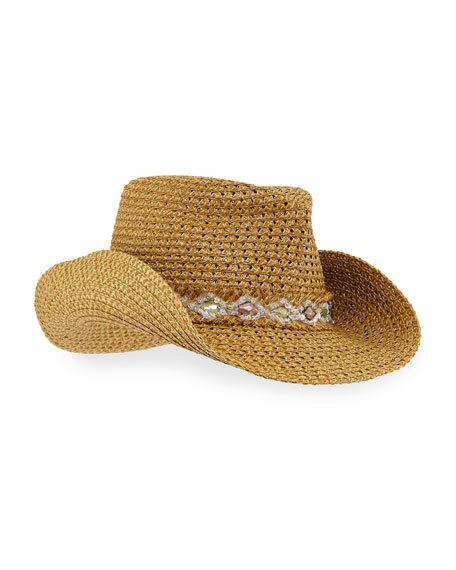 Eric Javits "Ariela" woven cowboy hat. Contrast woven trim at break with floral details. For in-store inquiries, use sku #2465048.